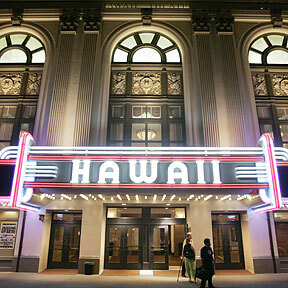 CHINATOWN: Friday night along Nuuanu Avenue, the area is courting an upscale crowd. It remains to be seen if the measures curb summer brush fires. Police say a woman went the wrong way in the morning crash. An artistic legacy started by relatives continues with Roy Gonzalez Tabora. Punahou's other golf phenom will play in seven tournaments over the next two months. No matter what the cost, this trip with my father would be priceless. The Hawaii State Art Museum wants to take its planned restaurant operation beyond basic cafeteria fare. Governor Lingle is meeting with City Council members about a tax collection tiff with Mayor Hannemann. How will the Democrats and Republicans do in state legislative races?